The selling bias around the greenback is now helping the ounce troy of the precious metal to clinch fresh daily highs in the proximity of $1,285.00. The demand for the precious metal is gathering pace today amidst a persistent offered tone around the buck and ahead of the speech by ~Chief J.Yallen later in the NA session. In fact, the US Dollar Index climbed to the boundaries of the critical barrier at 94.00 the figure on Tuesday, or multi-week tops, although the drop in US yields prompted USD-sellers to return to the markets and drove the greenback back to the current 93.30/20 area. 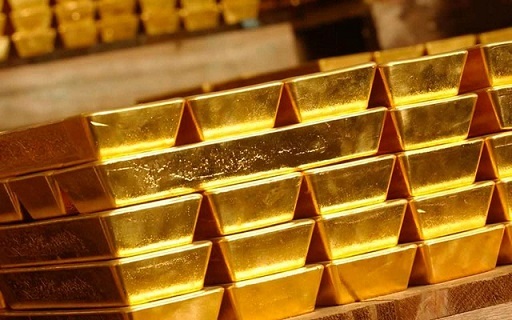 Bullion stays firm while the buck remains vulnerable specially after investors seem to have started to gauge the likeliness that FOMC’s member J.Powell could be leading the Federal Reserve after Chairwoman J.Yellen. The current debate around the next Fed Chief appears to have narrowed to J.Powell and former FOMC governor K.Warsh. In the data space, the ADP report is next on tap followed by US ISM non-manufacturing and the speech by St. Louis Fed J.Bullard (2019 voter, dovish). As of writing Gold is gaining 0.48% at $1,283.93 and a surpass of $1,290.12 (10-day sma) would open the door to $1,296.27 (55-day sma) and finally $1,317.10 (high Sep.26). On the other hand, the immediate contention is located at $1,271.00 (low Oct.3) seconded by $1,264.51 (61.8% Fibo of the July-September up move) and then $1,253.31 (200-day sma).